The Liberian access to justice movement has gained momentum since the beginning of 2018 with national and international civil society joining forces to put pressure on the government. With an increasing number of trials of alleged Liberian war criminals happening abroad, victims demand explanations from President George Weah as to why other countries are prosecuting alleged Liberian war criminals while their own government remains inactive. Liberia’s civil society has led rallies in Monrovia to petition the House of Representatives for the establishment of a war and economics crimes court in Liberia; receiving over 10,000 signatures. In March 2018, a UN Deputy Secretary-General reminded the newly elected President that it was time to implement the TRC recommendations. A few months later, the Liberian government reported, for the first time ever, to the United Nations Human Rights Committee in Geneva on the progress on its implementation of the International Covenant on Civil and Political Rights. 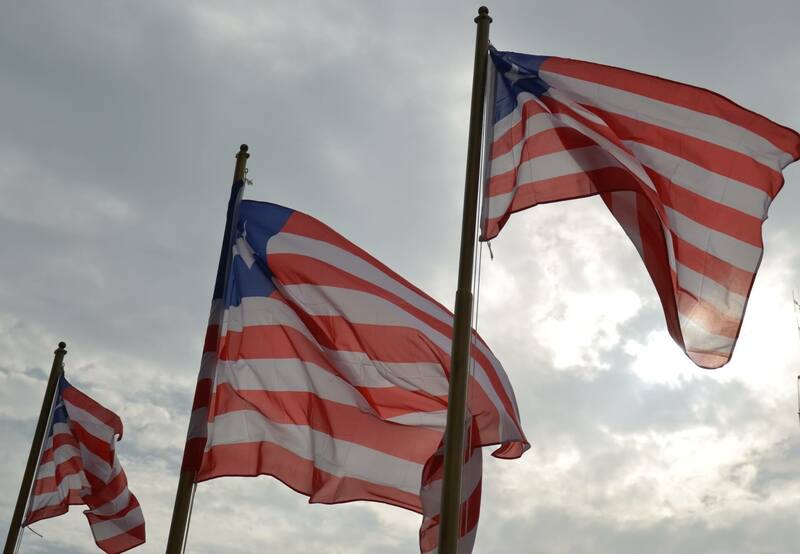 The Liberian delegation acknowledged that more and more Liberians are coming forward to demand justice, and indicated it would “soon” issue a public statement on accountability for past crimes. Together with our sister organizations, the Global Justice and Research Project in Monrovia and Civitas Maxima in Geneva have documented war crimes committed in Liberia and have represented victims in their quest for justice since 2012. In the past five years, our efforts have contributed to several arrests based on charges related to war crimes of alleged Liberian perpetrators of atrocities in Europe and the U.S. In the absence of access to justice in their own country, Liberian victims refuse to accept the blatant impunity they face at home. Organized within civil society and encouraged by the criminal cases happening outside of Liberia, their calls for justice are louder than ever. Recently our work contributed to two guilty verdicts of alleged Liberian war criminals in the U.S.: “Jungle Jabbah,” who was sentenced to 30 years in prison, and Thomas Woewiyu, who was held guilty on 11 of 16 counts and will be sentenced in October 2018. Neither “Jungle Jabbah” nor Thomas Woewiyu were charged with the actual war crimes they allegedly committed but faced charges related to them lying to immigration officials about their involvement in war-time activities. Nevertheless, for the first time ever, victims were given the opportunity to testify about atrocities committed against them and their loved ones during the First Liberian Civil War. Not only were both trials and verdicts milestones for the individual witnesses who got to tell their stories in court, but they also considerably empowered grassroots movements in favour of national justice. 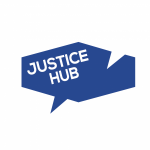 This recent justice hub post about the Jabbateh verdict described the positive reactions that Liberians had to the verdict and sentence. Woewiyu’s trial was significant because, as a former Minister for the NPFL – the rebel faction led by Charles Taylor – he was found indirectly responsible for their heinous human rights violations and those crimes were documented for the first time in a U.S. court of law. While this case and verdict was groundbreaking and welcomed by victims, it is also unfortunate that such an important piece of Liberia’s history was documented in a courtroom thousands of miles away. To bridge the distance between the trials and the affected communities, we launched the Liberian Quest for Justice campaign which provided unbiased and easily understandable reporting on the extraterritorial trials as well as a platform for victims to push for justice. It tackles questions of impunity and reconciliation through cartoons and audio-visual materials. The Liberian Quest for Justice outreach campaign is expanding from its online platform to have on-ground activities combining justice and the arts while continuing to support the Liberian civil society groups calling for justice and accountability. Garnering international support, the United Nations Human Rights Committee issued its formal concluding observations on the initial report of Liberia on July 26, 2018, expressing “concern that none of the alleged perpetrators of gross human rights violations and war crimes mentioned in the TRC report, has been brought to justice, and that some of those individuals are or have been holding official executive positions, including in the government.” The Committee identified impunity as a priority and as one of three key issues on which Liberia will need to report again in 2020, which is two years prior to the regularly scheduled periodic report. It has, thus, become increasingly difficult for the Liberian government to avoid providing answers on questions related to accountability for war crimes. We hope that moving forward, Liberian leaders will listen to their people and finally prioritize accountability measures.